It was four months ago that we decided to become a location independent couple and now the long wait is over! We left the house we were renting in Davao City for more than two years, sold all of our stuff, packed everything into suitcases, and have finally said goodbye to the city we’ve called home for nearly 5 years. It’s hard to explain our feelings about leaving. On our last night in the house we sat around the dining room table, listening to music and reminiscing all of the memories we’ve shared. Funny moments where Justin would goof off and grab me for a little impromptu dancing around the kitchen. Enjoying some of our “movie marathons” together, cuddled up in the living room. Even the not-so-happy times where fighting (and pouting) was involved. It was a little surprising to see how much the house has meant to us. We’ve celebrated lots of holidays, held gatherings for co-workers, family, and friends, etc. We began to wonder whether we were really making the right decision in moving away. Our first stop didn’t take us very far – the guest room at Joe Magnotti’s house! He was kind enough to host us for a week before we head on to Manila for a week to get our Thai visas sorted. We ended up selling most of our stuff to our previous landlord and I left the rest of the stuff we wanted to keep long-term with my Mom. (Paintings, photos, mementos, etc.) Some if it we’ll probably never use again, but it’s nice to know it’s still there if we want it. It’s sad to let all of the stuff we picked for the house go, but we have to let go if we want to move forward. Many of our friends that live the location independent lifestyle are happy to fit all of their stuff in a backpack, but that was unthinkable for us getting started. 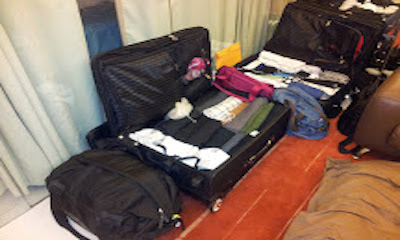 There are three of us (Justin, Arlene, and I) and we’re traveling with around 60kgs worth of stuff total! Our guess is that we’ll cut down the things we’ve brought over time, once we’ve had a chance to see we don’t really use them as much as we thought we would. Our First New City – Manila! 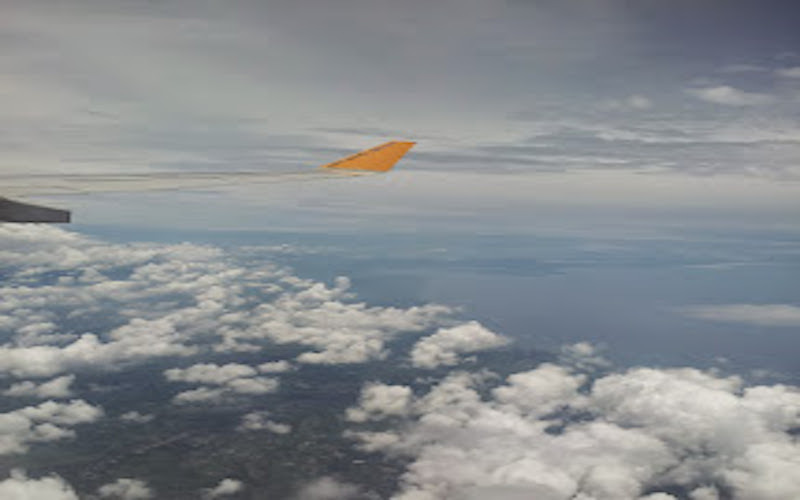 We flew into Manila on September 8th with a plan to only stay a week. 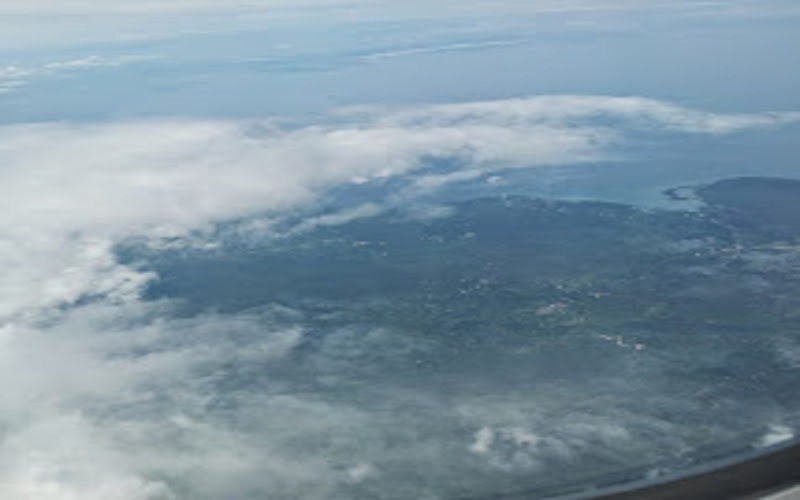 Leaving Davao was exciting, but Manila’s not as much of a change since it’s the same country. We still needed to spend some time here, though, as we needed to process our Thai visa. We were able to catch up with our friends John (who’s currently an EF customer and just sold a site with us) and his girlfriend Sheila. They both stay in the Fort and so we had a few chances to catch up with them. By the way, if you’re ever visiting Manila I’d recommend staying in the Fort – it’s a REALLY nice place! Here’s the place we ended up renting on AirBnB. It’s a great, clean one-bedroom located right around the corner from Burgos Circle – an excellent location! After Manila and getting the visa sorted, we flew through BKK and landed in Chiang Mai. We’re still in our first week and getting settled here, but I’m sure I’ll have more to say in the next week or two about our new (temporary) home. For those of you who have already “left home” for the first time, maybe you can share your experiences with us on how you deal with the stress, pressures and disappointments that you encounter on the road. I’m sure everything will be just fine as long as we have friends around that we know we can rely on whenever we need them. It’s easier to deal with the pressures on the road when you know you have true friends that won’t leave you hanging. This is so awesome Justin and Aiza! I really want to get on the road with my gf too. But she’s still in college for 1 years and a half. Would love to meet your gf and hang out with her. Maybe she can come to DCBKK eh? I “left home” almost 4 years ago (Czech Republic -> Australia) and first few months were horrible! 🙂 But my situation was much more different, earning really good money there and starting from 0 here, alone. Still, the best thing I’ve ever done. I’m sure you can still chat with them somewhere! If not in the Philippines, who knows, they might go to Australia. 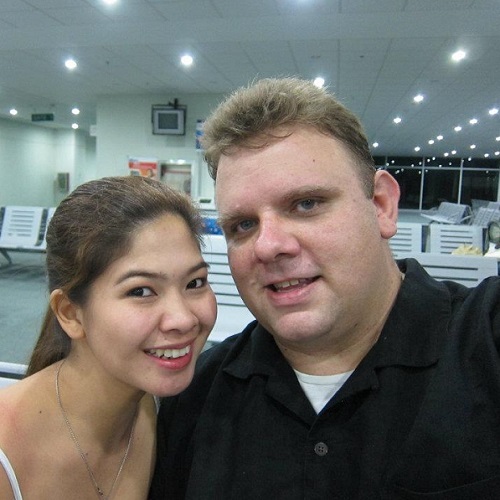 This is a bit freaky on my part – leaving the Philippines and living abroad – but it is still exciting meeting new people. It’s a big help having Justin around and he’s there to help me get through this experience. Thank you for dropping a comment Jakub, really appreciate it! Not seeing your friends sux, but hey we have Facebook, phones, skype …. Hey Jakub – maybe we’ll have to meet somewhere else? I’m definitely bribe-able though, hehe. Surely will get used to it after a couple of months of living away from my family and friends. We should hang out in Bangkok then if you will join the DCBKK. Be safe always guys!! Very excited for you. Awesome blog Aiza and Justin. If you guys are still in Thailand in a few years from now, I’ll take Kitty with me on a surprise trip 🙂 LOL. I’ve been moving around since I was 16 and every few years I move around again because of the job. I try my best to separate my personal life with my work life to ease the pressure of my everyday life. Making friends is easy but making true friends in a challenge. Having true friends around definitely help ease the loneliness and makes life comfortable and easier especially in a new place. I bet social media is big in Thailand and there might be some apps that offer Thai and Western people get together. Here in Korea, we use the App MEET-UP and a lot of organizers publish some hangouts depends on the topics and events that might interest people. Maybe Thailand has that too. Good luck on your new adventure and I am looking forward on reading more about your journey. Thank you for dropping a comment in our blog! Really appreciate it..
Moving around is hard for sure and definitely hard finding true friends but I’m sure along the way I could meet someone that I can called friend that I can rely on even if we are far from each other just like Kitty. It does help ease the loneliness and I am just glad that Ate Arlene is with us too that makes it more easier. They have a group in Facebook for entrepreneurs who lived here, I’m not sure if they have apps for it. I know Vietnam has one they call it “GROUP ME”, I guess it’s almost the same of what you guys have there. Thanks Aljune! Really glad you like our small blog about traveling.. Tell Kitty I said hi and miss her big time! Tell her I love her!